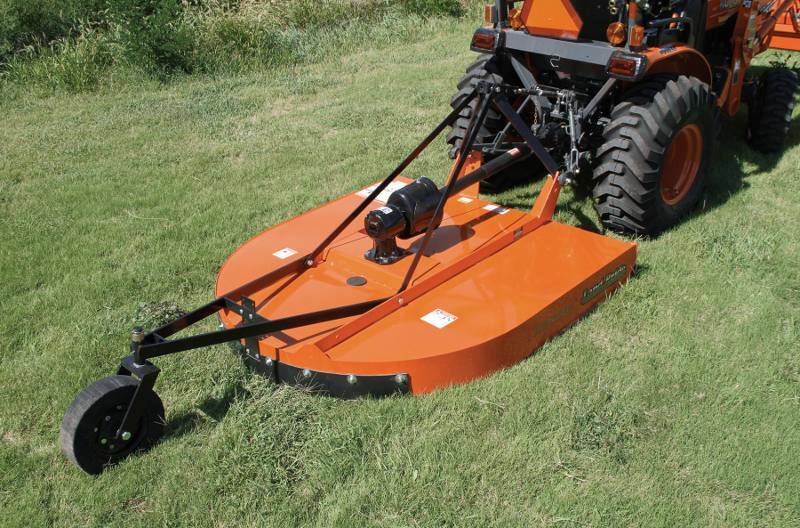 The RCR12 Series is an economically-priced Rotary Cutter, capable of cutting 1" diameter material and is ideal for daily use in small lots and hobby farm grass maintenance. The new 42" is the perfect size for BX & Narrow B Tractors. These cutters offer fast, clean, dependable mowing and have been extensively tested to ensure operating safety. High blade tip speeds assure a clean cut in a variety of field conditions. The standard stump jumper slides over stumps, rocks and debris and safety guards protect you and your property. 3 Year gearbox warranty: Shows our confidence in the gearbox integrity. Cat. 3 driveline with shearbolt: Shear bolt offers maximum driveline protection. 1 1/4" - 10" Cutting Height: Cutting height for wide range of cutting conditions. Skid shoes (Accessory) RCR1260 & RCR1272 only: Provides sidewall reinforcement and helps protect bottom of sidewall. 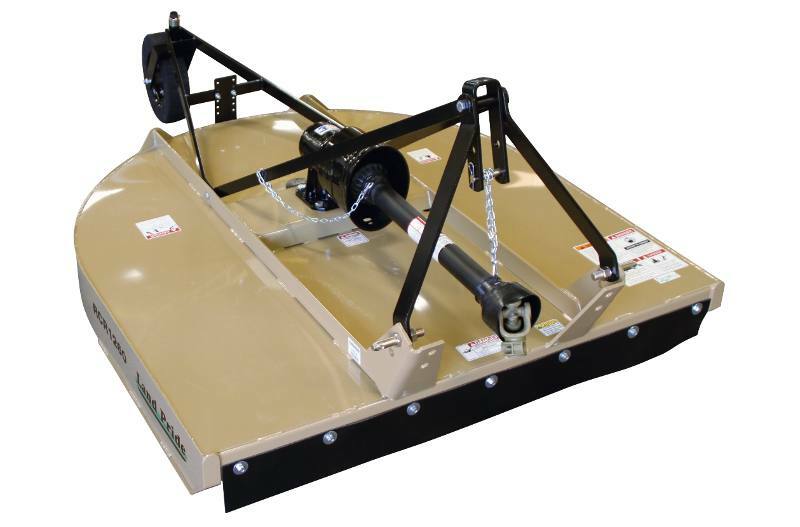 10 Gauge stump jumper: Allows cutter to slide over obstructions protecting the gearbox output shaft. High blade tip speed: Ensures clean cut. Laminated tailwheel: Laminated material is long lasting in rough conditions and can’t go flat. Heavy-duty spindle on tailwheel: 1 1/4" spindle gives the strength to protect tailwheel assembly. Rubber guarding: Protect against flying debris. Metal Guarding: Protects against flying debris. Weight (With front & rear guard, shear bolt driveline & laminated tire): 478 lbs. Overall Length (Including Tailwheel): 97 3/4"
Cutting Height: 1 1/4" - 10"
Stump Jumper: Round Pan 10 ga x 24"